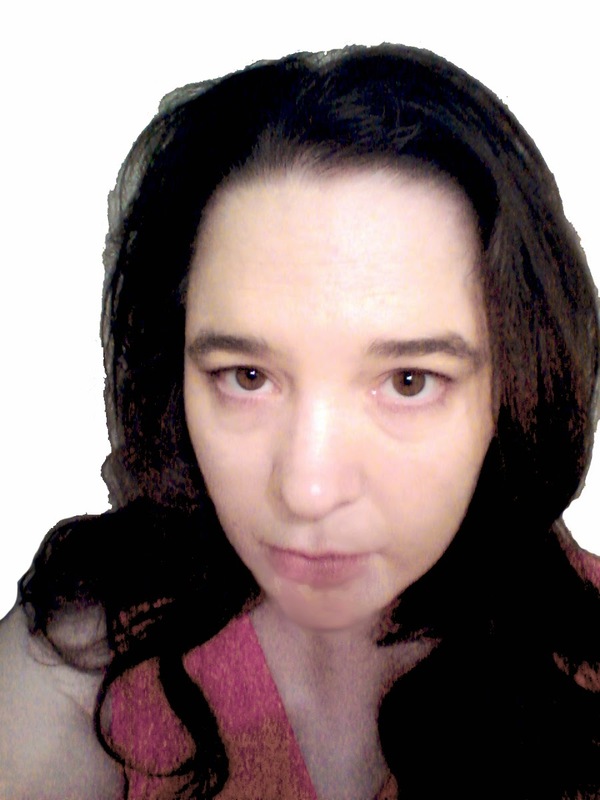 I'm delighted to have author Anna Faktorovich here on Fiction Dreams today. She has written what looks like a fascinating account of the life of George Sand. Read on to find out more! Can you tell us a little about The Romances of George Sand? This is a biographical tragi-comic historical novel about the life of the leading female novelist in the French Romantic Movement, George Sand, born Aurore Dupin. She lived an intense life that was plagued by hardships that forced her to become extraordinary. She served as the unofficial Minister of Propaganda in the 1848 Revolution, and assisted a couple of revolutions that came before this major turning point. Her grandmother funded the escape of the monarchy during the French Revolution a century earlier, so George only became a revolutionary because she needed the help of the radicals to gain a divorce and independence from her abusive husband. She had dozens of hyper-dramatic love affairs across her life with some highly respected artists and politicians of her day, including one contested lesbian love affair with an acclaimed actress, Marie Dorval. I tried to depict George’s sexuality, cross-dressing, and her work in politics and literature with honesty, so it is really an anti-romance. How did you create this title? I did heavy research by reading Sand’s autobiography, and a dense biography about her life, as well as doing historical research about all aspects of the depicted period in history. Once the research was completed, I set a strict deadline and completed the novel in 20 days, working on it for over 12 hours daily, until I had a total of 110,000 words. I described this speed-writing challenge on my social media pages on Facebook, LinkedIn and Twitter, where I’m listed under my full name. Dr. Belinda Jack at the University of Oxford has offered to write a blurb for the book, and a few people have noted the detailed research in the project, so it seems that this was the correct speed to have finished the project in. I have been a fan of George Sand’s work since high school, half-a-lifetime ago. I have been thinking of writing novels about strong and influential female historical figures for a while now, and this is the first project I’ve completed and released, and I’m really excited about it. I think Megan Fox could play George Sand because she has similar features and because she has a very strong presence and great acrobatic skills, which are necessary to play this horse-riding revolutionary woman. The male roles are tougher because there is a string of twenty of them or so, but I’d like to see a few of my favorite actors get some parts, including Johnny Depp, Benedict Cumberbatch, Seth Rogen, Ian Somerhalder, and Robert Downey Jr. I think we’d need a couple of these big names, and then just beautiful Italian, French and British young actors between 20 and 40, with long curly hair, blue eyes, slim and elegant model proportions, and the like to play some of the less distinguished lovers. George’s lesbian lover, Marie Dorval, should be played by Anne Heche. What is it about the historical genre that appeals to you so much? I studied nineteenth century novels about uprisings and rebellions for my dissertation and for my first academic book, Rebellion as Genre (McFarland, 2013). I look at history as a mystery that I can solve by finding enough primary and secondary source evidence. I believe that history novels have the power to make political, social, and cultural statements with how they depict historical events. The genre allows for philosophical speculations in the borders of the drama of the story. Also the novel really bloomed a couple of centuries ago in the historical genre, and I think it’s still the best vehicle for utilizing all of the novels dimensions, as it can combine poetry, narrative, letters, and various other elements, which are less natural in some of the lighter genres like light romance novels, or un-researched mysteries. My first publications were at Framingham High School in the Massachusetts suburbs, where I served as the Arts Editor for the paper, drawing cartoons, and writing news, feature and opinion articles. I was taking an AP English class at the time, and half of the class joined the new paper we founded. I had wanted to become an author since I started reading complex novels when I was as young as seven, and was writing diary entries with dramatic fictionalized descriptions in them. I don’t know why some people don’t want to become authors, for me it was always a part of what I had to do, like air or water. This novel is based on heavy historical research, and I tried to use real names for all of the characters, only adopting a few fictional names, when there were no clues about the identity of a given character in George’s life. When this was the case, I looked at popular names among the French aristocracy/ literary circles at the time, and at modern popular French first and last names. Name one of your all-time favourite historical books? Waverley by Sir Walter Scott is my favorite because it inspired me with a love for linguistic subversion, and has an uplifting, rebellious spirit. I write about the people and works that inspire me, including Sir Walter Scott and George Sand. Most of these people have achieved incredible literary or political goals, which I hope to one day reach as well. I like reading works by and about people who are extremely ambitious because I learn from what they have achieved, and how they did it. When I was a child, I enjoyed writing in forests, while skating under the Verrazano Bridge, on top of a ruin of an ancient castle in Rome, and in other romantic or unique places. But, recently, I have begun writing professionally, and I have published over 7 books this past year. To write that many scholarly and creative books in different fields and genres, I have to give the work my full concentration, and I have to have access to my library, computers, and various other research and writing aides. So, I now always write in my home office. Charles Dickens and George Sand. First, George Sand because I would like to check my interpretation of her life with her. Then, all the other authors I’ve written about, for the same reason: Charles Dickens, Sir Walter Scott, Robert Louis Stevenson, Virginia Woolf, and many, many other classical writers. 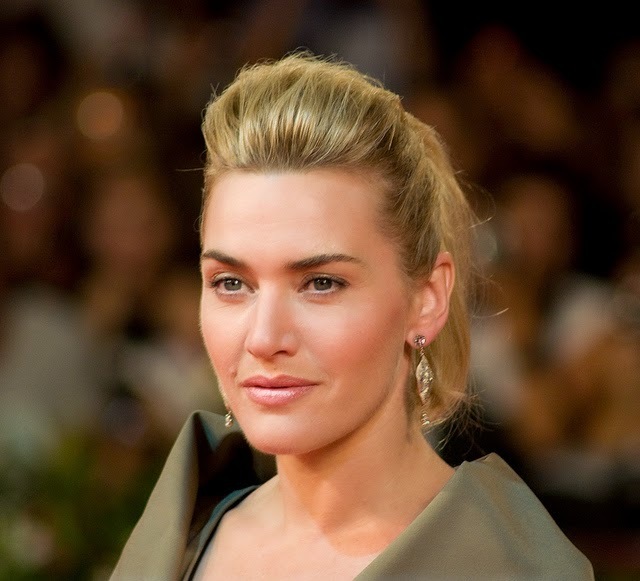 I hope Kate Winslet would be interested, though she’d have to color her hair brown. I have lived in over 20 US states, China, Ukraine, Russia, etc., and have traveled to a bunch of places like Canada, Israel and Italy. I currently live in a small apartment in the desert of Tucson, AZ, but I’ve heard from dozens of my affiliates at my independent Anaphora Literary Press that I should move back to the NYC area for next year, to be closer to publishing industry contacts, and I’ll probably follow this advice, if finances permit. I lived in Brooklyn for around 4 years as a child. I plan on writing a series of historical novels. The next novel in this series will be a novel version of a poetry book I published, Battle for Athens, about an anti-corruption rebellion in Athens, Tennessee. To become a best-selling author. I took a Greek mythology class in college, and I was particularly interested in the Medusa myth, as I always wondered what it would be like to turn men to stone by just having them look at me. 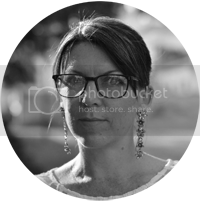 Anna Faktorovich is the Director and Founder of the Anaphora Literary Press. She taught college English for three years before focusing entirely on publishing. She has a PhD in English Literature. She published two scholarly books: Rebellion as Genre in the Novels of Scott, Dickens and Stevenson (McFarland, 2013) and The Formulas of Popular Fiction: Elements of Fantasy, Science Fiction, Romance, Religious and Mystery Novels (McFarland, 2014). She completed two other scholarly books, in which academic presses have expressed strong interest: Gender Bias in Mystery and Romance Novel Publishing: Mimicking Masculinity and Femininity and Wendell Berry’s New Agrarianism and Beyond, for which she received a Kentucky Historical Society fellowship. She previously won the MLA Bibliography and the Brown University Military Collection fellowships. She also published two poetry collections Improvisational Arguments (Fomite Press, 2011) and Battle for Athens (Anaphora, 2012), and a children’s book The Sloths and I (Anaphora, 2013). 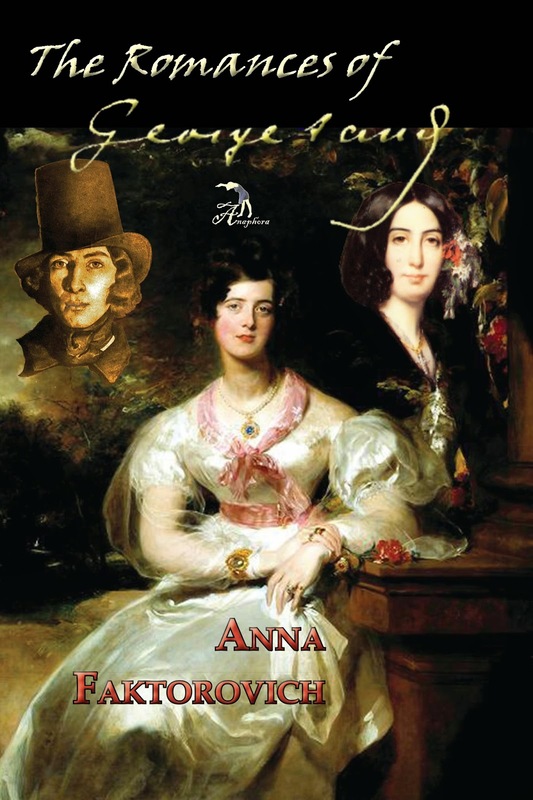 The Romances of George Sand by Anna Faktorovich will be released with Anaphora Literary Press on September 12, 2014. It is currently available for review in both print and electronic versions.